Johnson & Johnson products have been a staple in this home for as long as I can remember. From the Band-Aids to heal the “booboos” or the Listerine to kill the bad germs, Johnson & Johnson Family of Consumer Companies is a trusted brand. 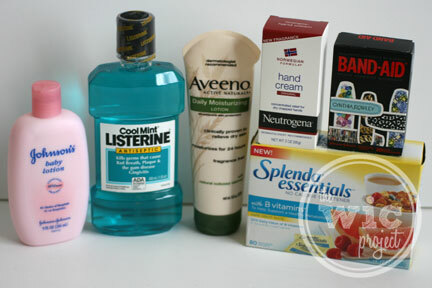 Many of our “healthy essentials” are J&J products – including Aveeno, Neutrogena, and other name brands. AVEENO® Positively Radiant™ Daily Moisturizer with SPF 15 – This winter weather does such a number on my skin. Aveeno Daily Moisturizers provides just the right amount of moisture, plus the needed SPF protection. BAND-AID® Brand by Cynthia Rowley Adhesive Bandages – I’ve never seen such stylish Band-Aids. Forget flesh-colored, these Band-Aids are perfect for the fashionista to cover up her cuts and owies with sequins, chains, and other patterns. LISTERINE®ANTISEPTIC® – Kill germs and fight bad breath? Yes. Yes it does. And you’ll know it with your first gargle. NEUTROGENA® HAND CREAM Norwegian Formula® – If you have some seriously chapped or dry hands from weather or washing dishes, treat your hands to some Neutrogena hand cream. One application and your hands will feel more moisturized and start healing. 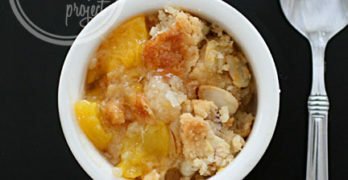 SPLENDA® ESSENTIALS™ – I haven’t tried SPLENDA yet, but looks to be a great way to cut your sugar calories! Not on will you save money when you use a “Healthy Essentials” coupon, but you’ll be supporting families in need. For each “Healthy Essentials” coupon you redeem before January 15, 2012, Johnson & Johnson Family of Consumer Companies will donate one meal (up to 1 million meals) to FEEDING AMERICA. To learn more about “Healthy Essentials”, and to grab your coupons, visit www.healthessentials.com. Disclaimer: This post consists of my (and/or fellow tester) opinions only. Your experiences may be different. I wrote this review while participating in a blog tour by Mom Central Consulting on behalf of Johnson & Johnson Family of Consumer Companies and received products to facilitate my review and a promotional item to thank me for taking the time to participate.